Michelle L. Walker was born in Sioux City, Iowa. She received her Bachelor of Arts Degree majoring in Political Science, with a minor in Finance, from Metropolitan State College of Denver in 1992. She graduated from the University of Denver School of Law where she earned her Juris Doctorate Degree in 1998. While in Law School, Michelle was involved in the law review, student law office and law clerked for a downtown Denver litigation firm. After graduating law school, Michelle was immediately hired as an associate and eventually became a partner with a boutique law firm in Downtown Denver, specializing in civil litiation and family law. In June 2005, Michelle decided to open her own law practice in Cherry Creek. As a sole practitioner, she specializes in family law and domestic relations cases in all Denver-metro counties. 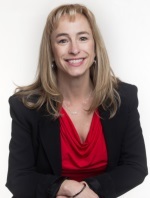 She is a member of the Colorado Bar Association, Denver Bar Association, and Family Law Section.